They curl up into a ball to wait out danger. Size: a little smaller than a golf ball. Coffee needs shade, and so it’s grown under the canopy of other trees. 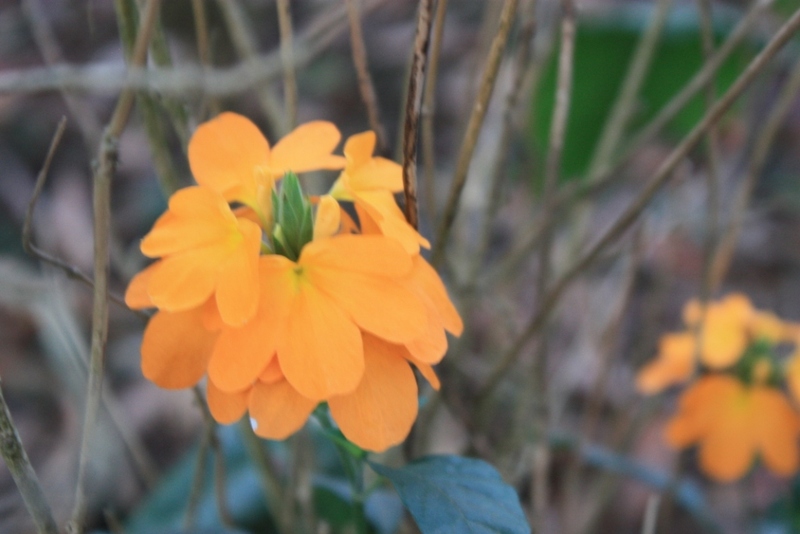 Photos taken in March of 2014 at the Golden Mist Coffee Estate near Madikeri. 2014 will be our first full year living in India. Having said that, I spent almost 50 days in Thailand, and Lilla and I will spend the last two weeks of the year in Hungary. So, in truth, I will have lived about ten months of 2014 in India. The four months of 2013 that we lived in India largely involved acclimating and getting our feet under us, though we did see some important sights in India including the Taj Mahal, Delhi, Fatehpur Sikri, Hampi, Mysore, Belur, Halibidu, and Shravanabelagola. 2014 was an interesting and learning-intensive year, so I’ll review some of the year’s key happenings. From the 1st through the 18th, I was in Phuket, Thailand. Lilla and I spent the holidays there, and–upon her return to Bangalore–I stayed another couple of weeks training at Tiger Muaythai. 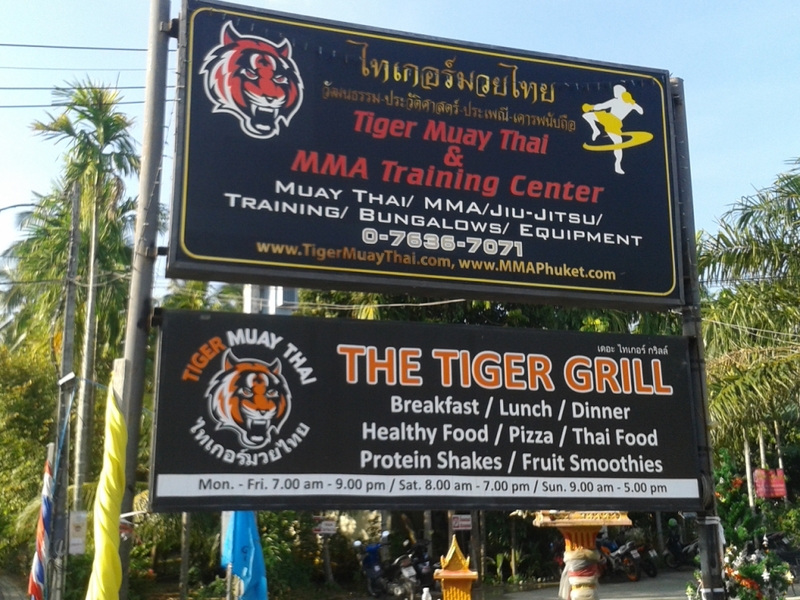 Tiger is probably Phuket’s largest and most well-known Muaythai gym. In addition to Muaythai classes, I took advantage of their broad class offerings to learn a little about Krabi Krabong, Muay Boran, Western Boxing, Mixed Martial Arts, Brazilian Jujutsu, as well as taking daily Yoga classes. I was particularly keen to learn about Muay Boran, MuayThai’s more combative ancestor art. While my training schedule (up to six hours / day, 6 days a week) didn’t allow for much sightseeing, I did get to see a little of Phuket Town and a couple of the beaches that Lilla and I skipped while we were traveling together. 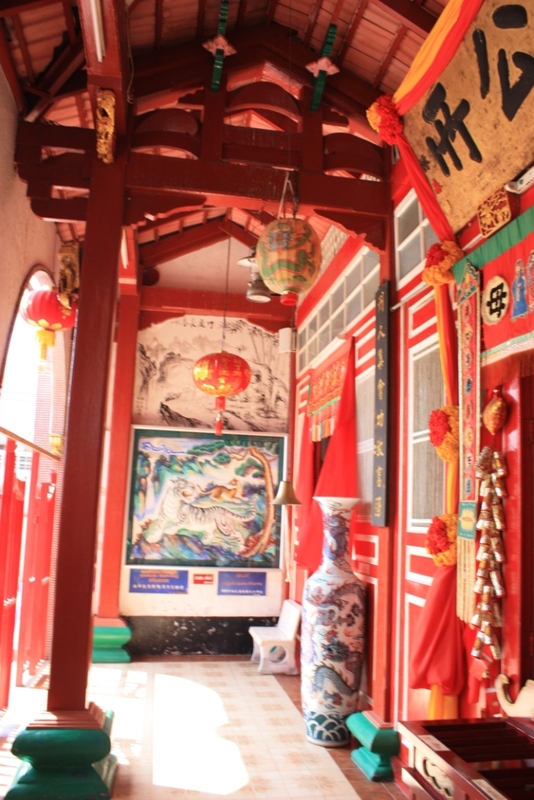 Phuket displays a lot of Chinese influence and there are many brightly colored Taoist, Confucian, and Chinese ancestral shrines and temples around Phuket Town. Rang Hill overlooks the island’s main “metropolis”, and I was able to take advantage of that vantage point. The beaches I visited were Karon and Kata which were middling between the two beaches Lilla and I visited together. That is, they weren’t as quiet and secluded as Naiharn, but neither were they as frenetic and overrun as Patong. The reason I’ve kept training is that Kalaripayattu is an awesome workout. I see a two-fold strength in the art. For one thing, it builds bodily capacity. I mean one is able to leap higher, stretch farther, and endure more through the practice of this art. I’ve realized that the idea of a martial art solely as a means to ingrain movements that worked in the past is limited. Another thing that the art does is help build a variety of fearlessness. One has to throw one’s body around in a ways that can be intimidating, and one must build confidence that one will—like a cat—land on one’s feet. Further down the line, the metal weapons practice—choreographed as it may be—takes a special kind of inner calm. By “further down the line” I mean—as of this writing–I haven’t yet begun to learn weapons. I’ve passed through the first two levels and it’s been suggested that it might be time for the third test (though I’m far from skilled with some of the required jumps), but these levels are all unarmed. The second activity I began in February was volunteering that the Don Bosco Mane Center, which is home and bridge school for young boys in central Bangalore. (A bridge school is a school used to prepare kids to go to regular public school, which is what they try to do a soon as possible, but some of the kids haven’t been to school and aren’t ready to leap in at the appropriate grade level.) BOSCO is one of the major charities working on children’s issues in Bangalore, and particularly in trying to intercept kids coming into the bus and train stations before the pimps and slavers get their hooks into them. They also run a help / reporting phone line. If it’s possible, they try to get the kids back to their families, but if that’s unsafe or impossible the children live at one of the centers like Mane. BOSCO also has a person trying to match kids to foster homes. Foster homes are a relatively new and undeveloped approach in India as compared to the West, but–as it’s a much better approach when it works—they’d like to see more of it. I volunteered here over the course of two months, before I started Yoga Teacher Training. Because I was only volunteering one day a week, and given the nature labor costs in India, they weren’t always sure what to do with me. Such a facility in the West would probably tend to be much more undermanned, but that didn’t seem to be so much the problem here as the challenge of funding and resources. At any rate, I have talked to the head priest about going back to teach martial arts and /or yoga. It was amazing to see how well-adjusted and respectful the kids were, given the hard life they’ve had. March wasn’t a big month for travel or new experiences. 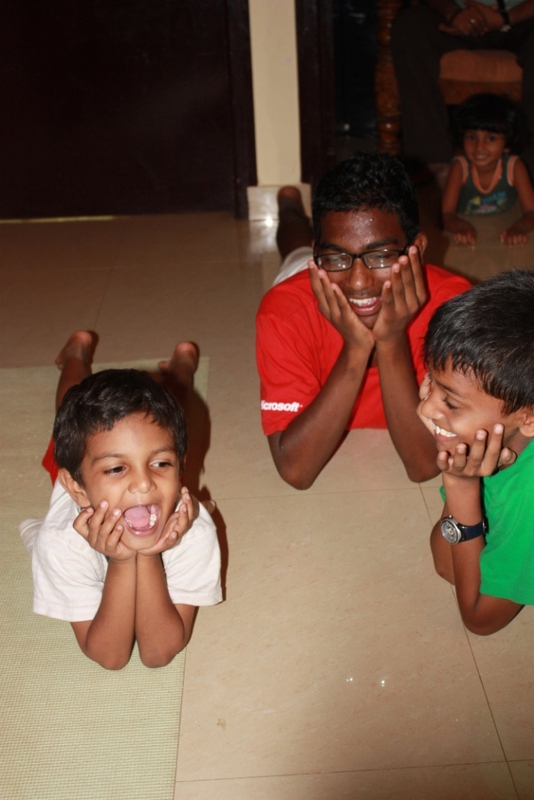 Lilla was in the middle of her busy season, and I continued learning Kalaripayattu and volunteering at BOSCO. Otherwise, I was writing or working out. I’ve been keeping my Gyokko-ryū koshijutsu and Kukishin-ryū jōjutsu training going as much as I can, and work on Muaythai as well. As part of my yoga training, I started doing yoga with Lilla three mornings a week (this began in January or February), and—after going through yoga teacher training—this will become a regular class that I teach MWF from 7 to 8am. 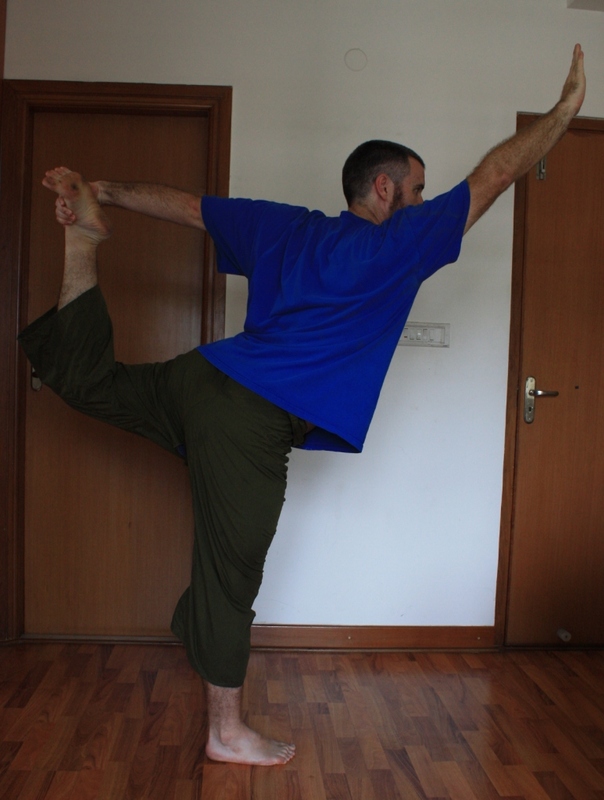 I attended about four studio sessions a week at a1000 Yoga in Indiranagar during March. We did take one long weekend trip at the end of the month. 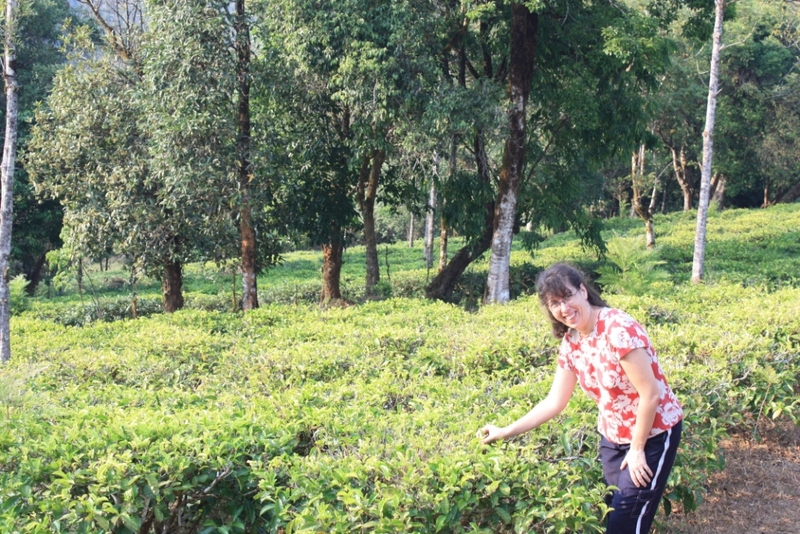 We went to Coorg and stayed a couple of nights at a coffee / tea plantation near Madikeri. We stopped along the way to visit the Namdroling Monastery, which is a Tibetan Buddhist monastery set up by exiled Tibetans in the early 1960’s. 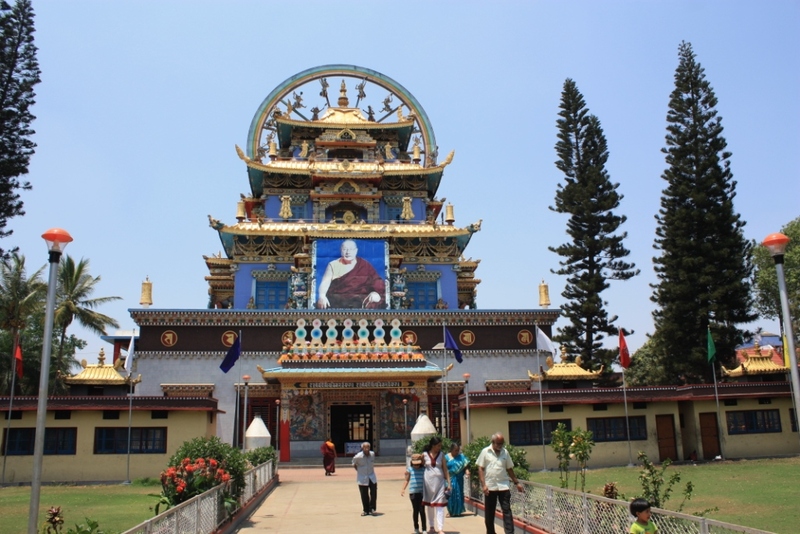 It’s one of the largest Tibetan communities in South India, and is the largest teaching center for the Nyingma sect of Tibetan Buddhism in the world. The monasterial campus was impressive. The serenity of the plantation provided a welcome respite from the horns and chaos of Bangalore. The Golden Mist Plantation is owned by a German who spends part of his year in Germany and part of the year in Coorg. Interestingly, they sell only organic products, which they largely export because organics are just beginning to catch on in India and not at the same scale as in Europe and other parts of Asia. The food was great, and—needless to say—the coffee and tea were fresh as can be. We had a couple nice hikes in the Coorgi countryside, and I had authentic Coorgi pork—that’s a popular Indian dish from these parts. April saw me begin my 200 hour yoga teacher training course (RYT-200) at a1000 Yoga. This course ran about 4 hours a day for five days a week through May 23rd. The first hour and a half to two hours each day was yoga on the mat, and then we got into a broad range of subjects dubbed “theory” in the afternoon. These included yogic philosophy, Indian approaches to the body (chakras, nadis, granthis, kundalini, koshas, prantas, etc. ), Western anatomy and physiology, and the historical development of yoga. The most unusual practice we learned was jala neti, in which one pours warm salt water in one nostril such that it drains out the other, cleansing the nasal passages. It wasn’t as bad as it sounds, and—given the dustiness of India—it’s a valuable skill to stave off sinusitis. Most of the course was about learning yoga, but the last week focused on learning about teaching. 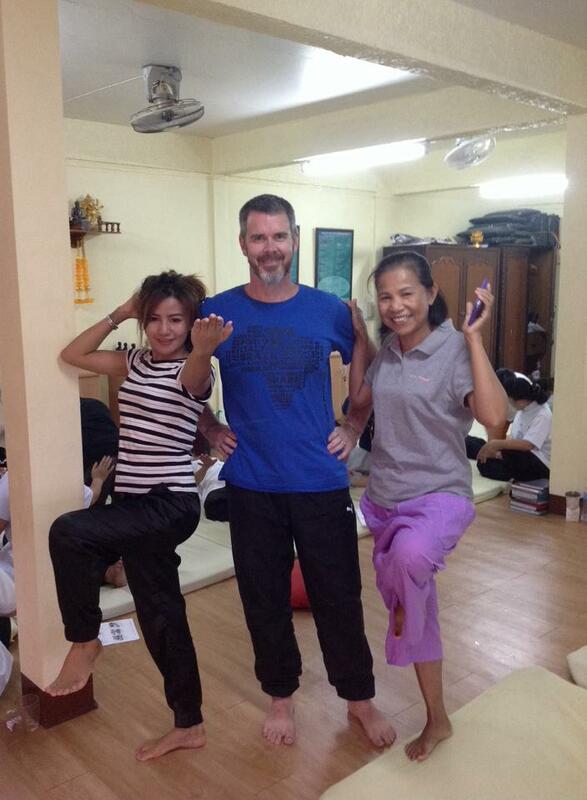 At the beginning of May, I completed a workshop in Tok Sen. Tok Sen is a Thai approach to massage that uses a mallet and a wooden chisel-shaped tool. While it sounds less than pleasant, it’s actually quite enjoyable. I had no idea what to expect besides that it was a Thai approach to body work that used wooden tools. 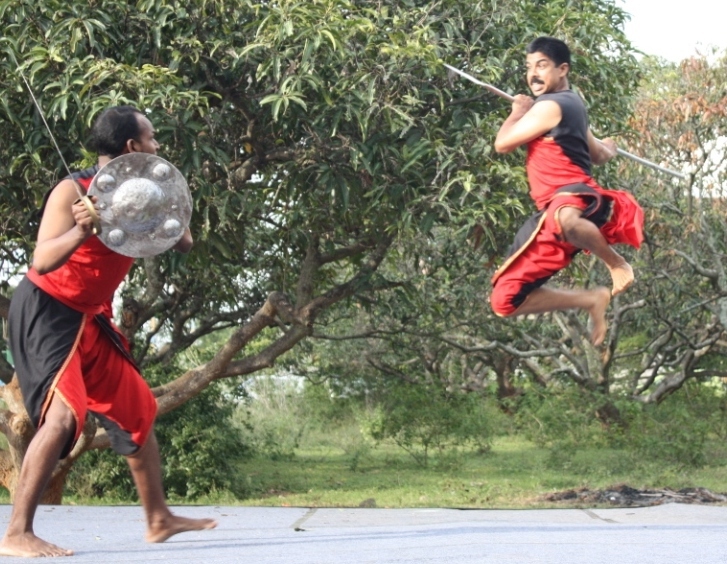 Toward the end of the month there was a Kalaripayattu demonstration. This was the first time I’d seen the art practiced besides in Kalari sessions. Needless to say, it was much more acrobatic and stunning than day-to-day training. It featured many weapons, including the urumi, which is a four to six-foot flexible sword that old-time practitioners wore as a belt. Urumi demonstrations are about as edge-of-the-seat as one can imagine. 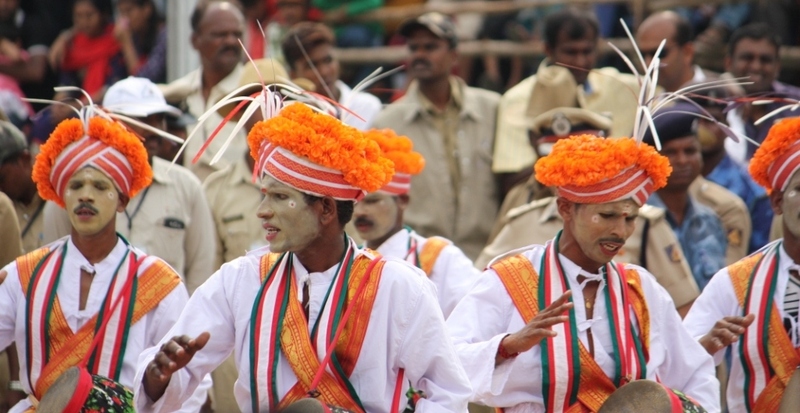 While the demonstration is choreographed, the urumi is a severe injury waiting to happen. It requires the utmost attention on the part of both participants. June was an intense month for my yoga practice. In addition to my own personal practice, which I was still documenting for my RYT-200 certification, I was attending 5 to 7 studio sessions per week. 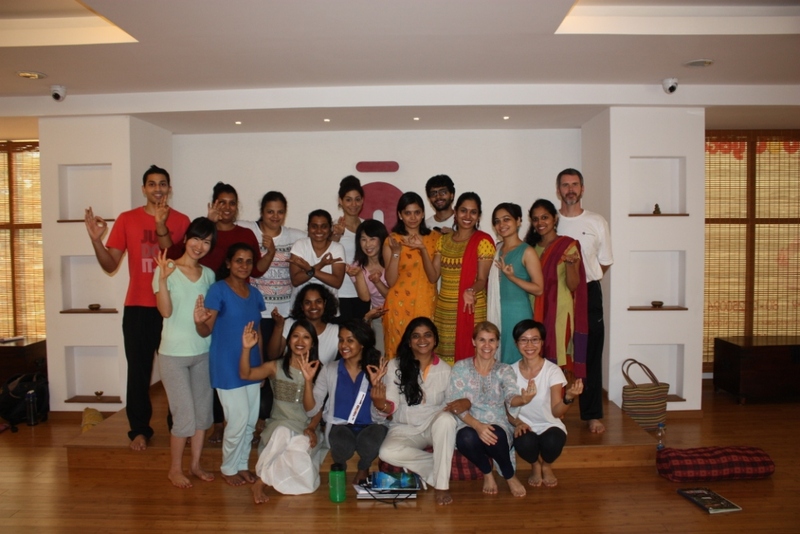 I was also able to do some refresher training with my Thai Yoga Bodywork teacher as he was running the Level I and II course in Bangalore, and I attended a few days. In July I finally got my RYT-200 journal in and accepted, completing the requirements for a RYT-200 Yoga Teacher certification. Through the first half of the month, I was largely working on finishing up the last of the requirements and typing it all up into a 54 page account of my yoga life (not even double-spaced) since the courses beginning including my teaching, personal practice, observation of master teachers, etc. We made our first trip to Kerala, another of the states in south India—bounding the Arabian Sea. 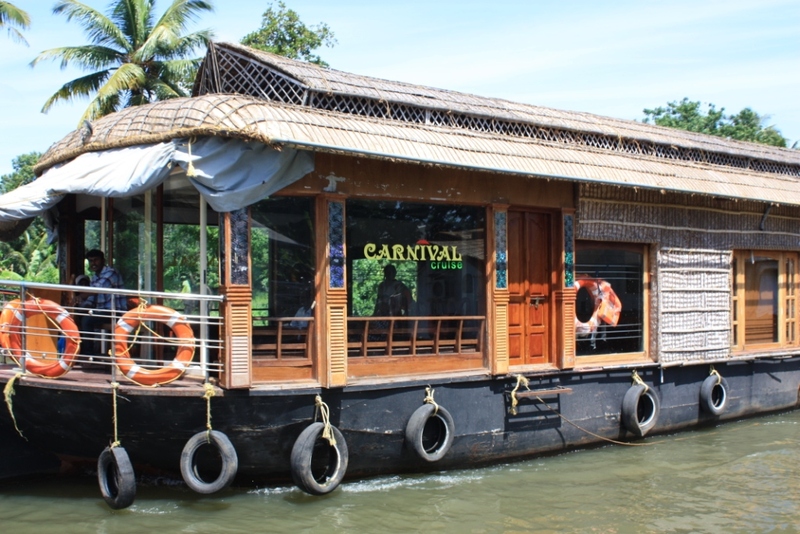 We overnighted on a houseboat in the backwaters, got our first Ayurvedic massage, stayed at a resort in tea country, and toured the historic Malabar spice capital of Kochi (Cochin.) We were very fortunate with the weather in that we visited Kerala during the heart of rainy season, but stayed dry for the most part. Our houseboat stay was great. Our cook was skilled and the meals were outstanding. 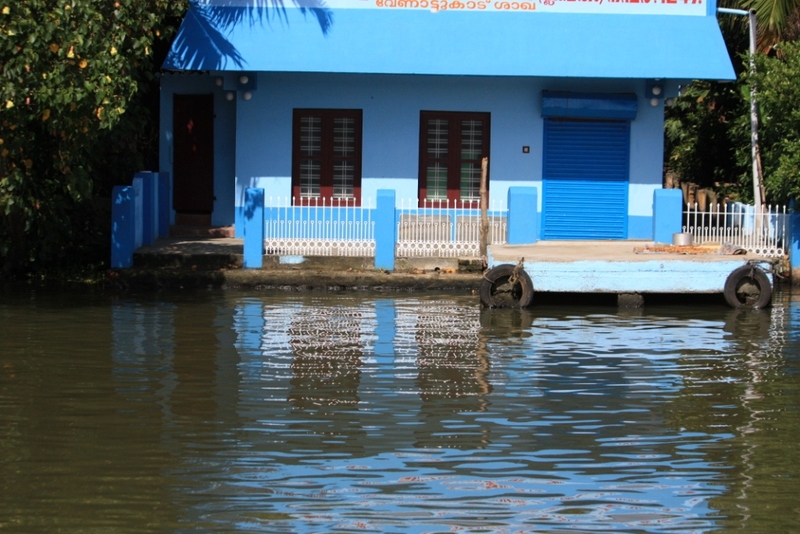 Chugging through the backwaters, I felt like a young Martin Sheen heading into the jungle to track down a rogue Army officer who became a cultist chieftain. Except that there was so much life and the ubiquitous Indian flare for color and sound. We got to see a snake boat crew in training, and saw so many colorful houses ornamenting the lush dikes—usually with verdant rice paddies as a backdrop. 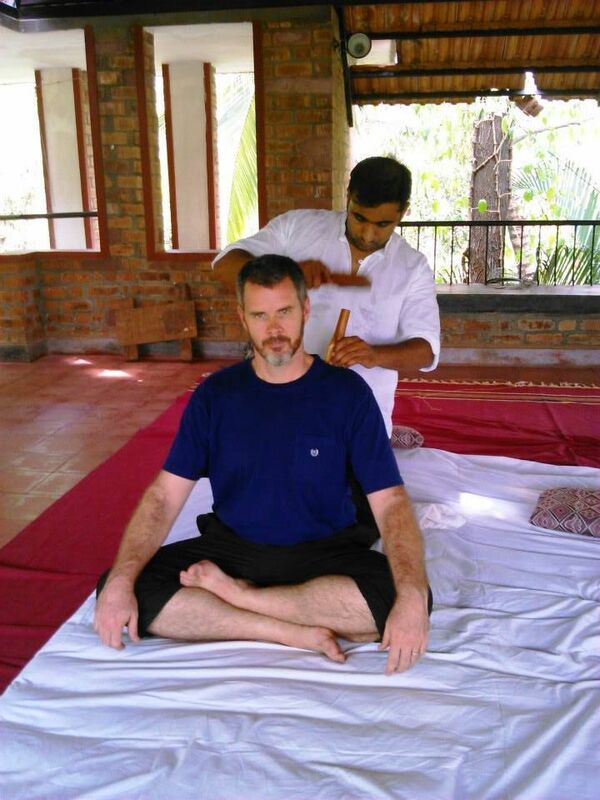 Ayurvedic massage was an unusual experience. It was the most oily I’ve ever been. Days later I felt a little like greased pig. It took place on a massive hardwood slab that had a channel carved through the middle to keep the oil from sluicing over onto the floor, an event that would cause the most skilled masseuse / masseur to slip fatally. The table looked a little like an autopsy table carved out of hardwood. It was a very impressive looking piece of furniture and not the least bit comfortable on one’s bony parts. 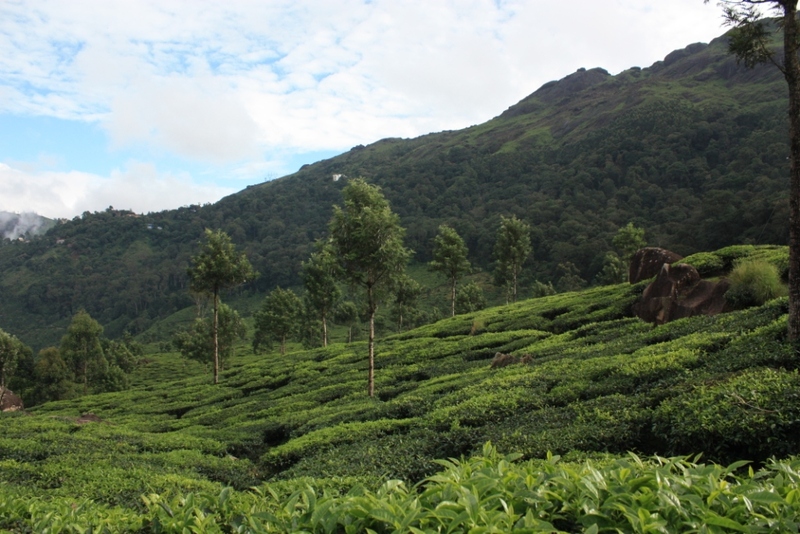 Munnar, amid the tea plantations, was green hill country and the low hanging clouds and vast expanses of tea bushes made it a scenic wonder. There were also some waterfalls in the area. It was misting part of the time we were here, which brought out the full jungle feel. 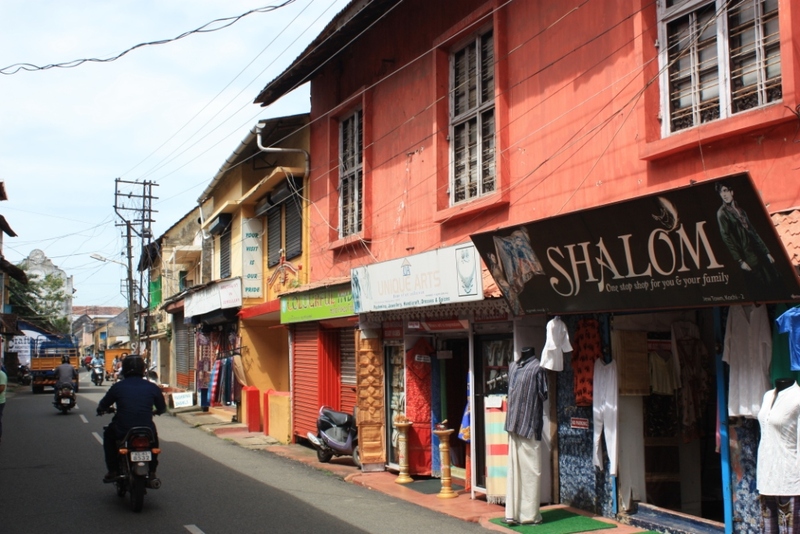 Kochi is an enigma: ancient and modern, small but global. Its history is shrouded in the mists of time. It’s been an important center of commerce since who knows when. While trade with Arabs, Jews, and Chinese are all well-documented, it’s said that this port was familiar to the Greeks and Romans as well. When spice was king, Kochi ruled. Lilla and I attended a yoganidra workshop this month. Yoganidra literally means “yoga sleep” and it’s a relaxation technique in which one maintains a state that is neuro-electrically like being on the edge of sleep. As you may know from visions that pop into your head right before sleep, those dreamlike random fragments that don’t make a lick of sense, this is a fertile state for the subconscious mind. My second visit to Thailand took place in August and September. I left out on the August 20th and returned on September 17th. From the 20th to September 3rd, I was training at the Muay Thai Institute (MTI) in Rangsit, Thailand. This involved training four hours a day—i.e. two 2-hour sessions. Unlike Tiger, which offered a wide range of classes, MTI specializes in Muaythai and all my training time was devoted Muay Thai. (At Tiger I generally trained one Muay Thai session per day and one other session in boxing, grappling, or muay boran.) I was in the freestyle tract, and had a well-rounded experience of footwork drills, bagwork, pad drills, shadowboxing, and a bit of sparring. 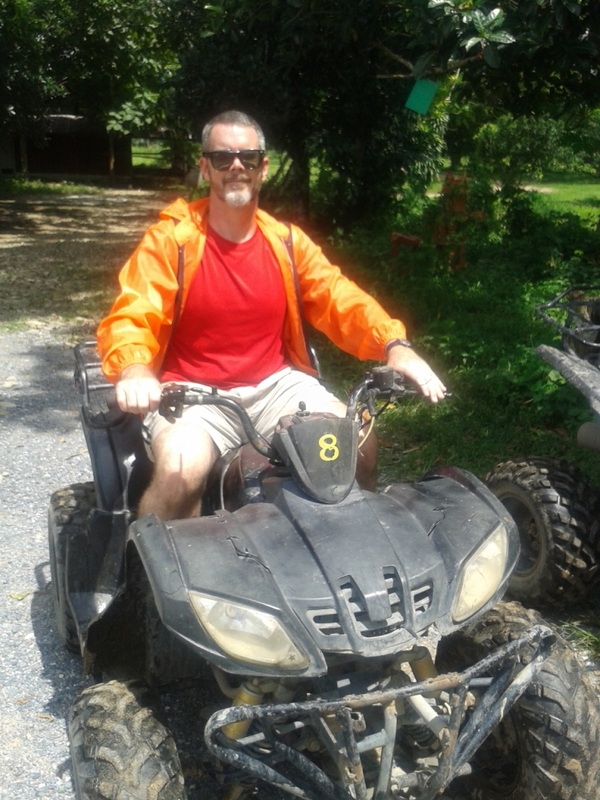 While I was training at MTI, I took one day trip with other trainees to play paintball, ride ATV’s, and go rafting. This also involved stops at a couple of temples at Ayutthaya, one of which I’d visited on my 2012 trip and another which was new to me. The one I’d visited before is Wat Mahathat, which famously appears in Jean-Claude Van Damme’s Kickboxer movie. Wat Mahathat is particularly famous for a Buddha head that’s enveloped by Strangler Fig roots. I also took a boat trip around Koh Kret, which is an island in the middle of the Chao Phraya River—i.e. the river that runs through Bangkok. 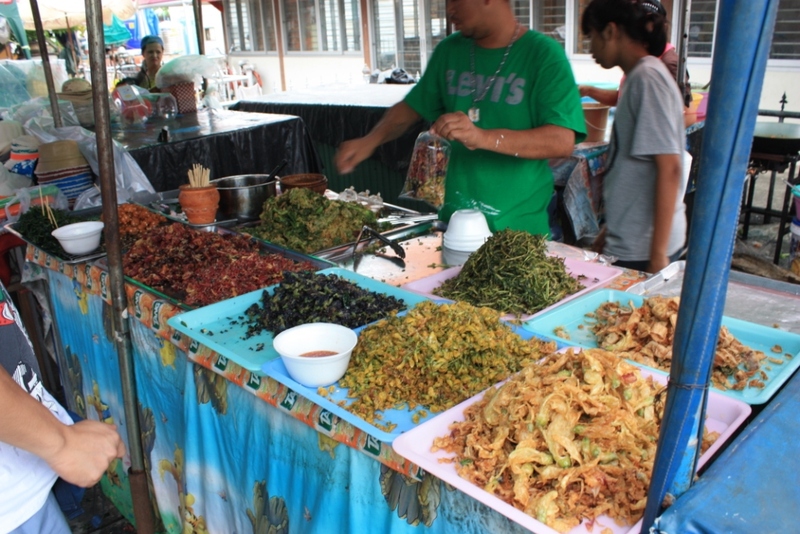 Koh Kret has a popular market and is known for certain unusual street foods like fried flower petals. The only other place I visited during training was the J.J. Market, Bangkok’s sprawling weekend market where one can buy everything from pets to artworks to cheap tsotchkes to Louie Vattan (that’s how it’s spelled there) purses to street food. I’d been once before in 2012, but still got lost in its maze-like corridors packed with goods. After I finished my second training week at MTI, I moved into Bangkok to a guesthouse in Chinatown. This was a short walking commute to the Wat Po Thai Traditional Massage School where I completed the General Thai Massage course and the Foot Massage course. These courses were each 5 days long, and the first one is a prerequisite for just about everything at the Wat Po School. 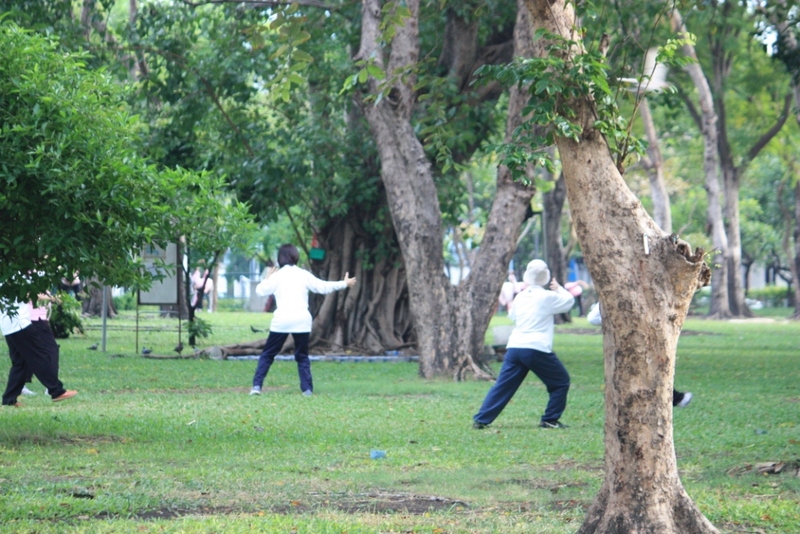 In the morning I would work out in one of two nearby parks frequented mostly by elderly fitness-buffs doing tai chi, chi gong, takraw, or Jianzi (the latter two being hacky-sack like games played with a woven ball [Thai] or a feathered weight [Chinese], respectively.) On several occasions I went to the Thai Yoga (Russi Dutton) classes that were run inside the temple grounds. Then I would go to class for the day. The General Thai Massage sequence was gradually taught by parts defined by position (supine, side, prone, and seated), and it was not so different from the Chiang Mai style I’d learned in Bangalore. With the Foot Massage course, we began doing the entire sequence from the very outset, which meant one got to practice it about 10 times over the course of the five days. 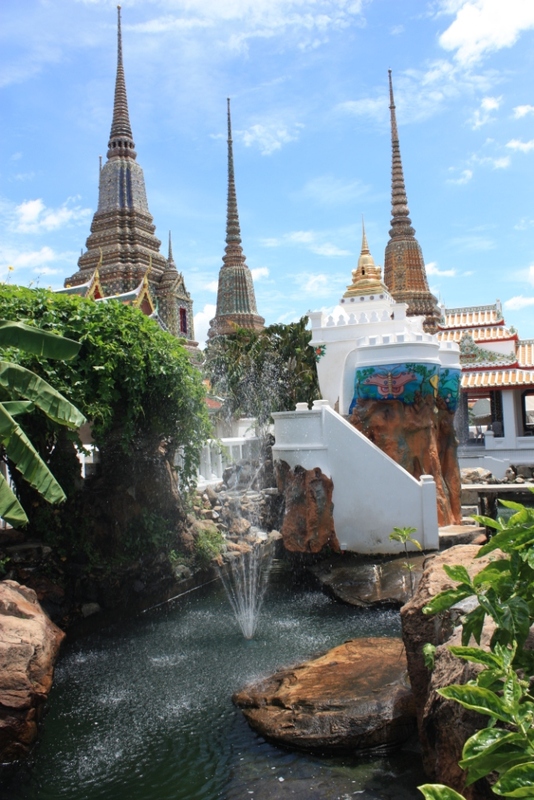 I was glad to visit Wat Po this time, as it’s the most important Bangkok sight that we missed during our 2012 visit. I also made it across the river to Wat Arun. I also made a trip across the river to a popular seafood restaurant on the edge of town with a group of fellow students from my General Thai Massage Course. With the same of Thais and Germans, I had dinner at the top of the tallest building in Thailand, the Baiyoke Tower. 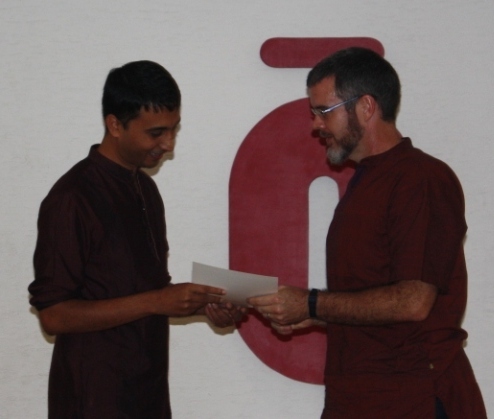 After I returned to Bangalore, there were two small events of note. I attended a function for the children at the KAMMS put on by Lilla’s firm, Grant Thornton, which is the third youth shelter /orphanage I’ve visited. This was the largest group of kids I’ve seen, because, unlike the other shelters, it was both genders and a wide-ranging age group. Again, the kids were very pleasant to be around. 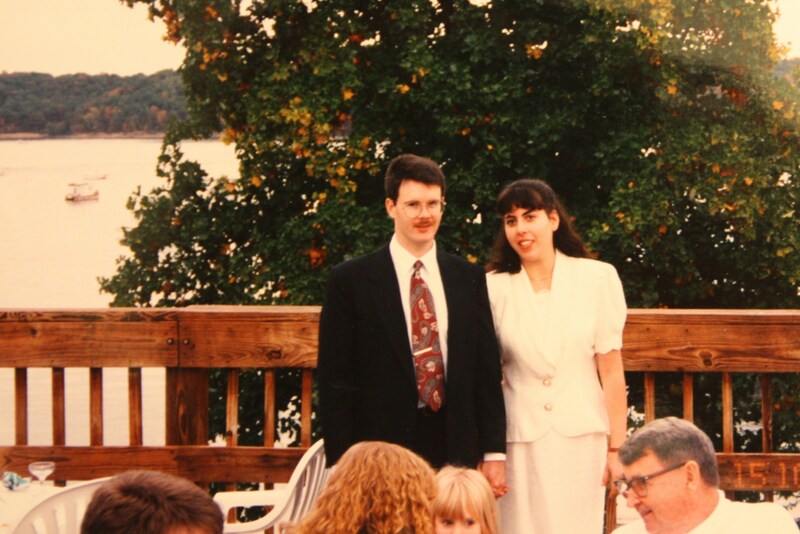 The big event in the month was our 20th wedding anniversary. 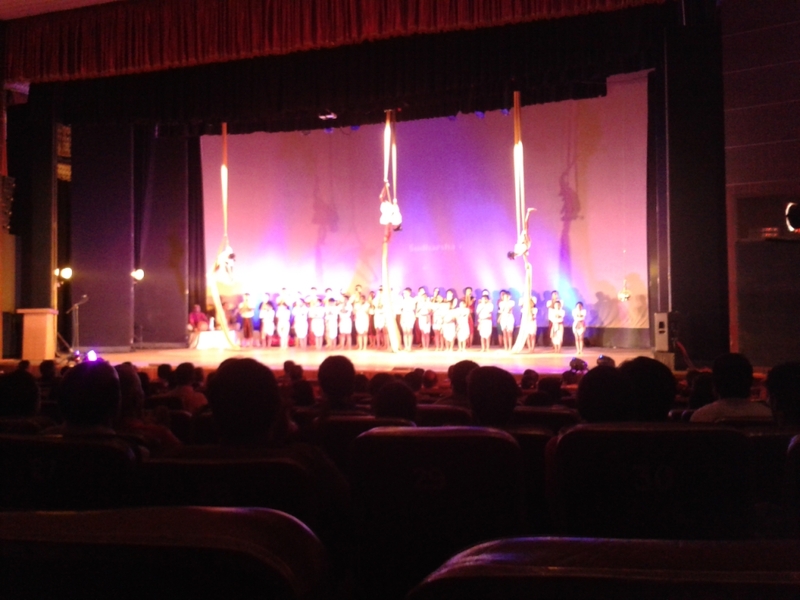 Our big trip this month was to Mysore for the Dasara festival. We took the train, our first Indian train ride. Mysore is a city that’s only about an hour and a half away from Bangalore. While it’s much smaller than Bangalore, it’s also more popular with tourists and travelers than Bangalore because of its history as a long-standing capital of the Wodeyar Kingdom and as a global center for yoga. It’s a yoga mecca because it was the home of T Krishnamacharya, who was the guru to some of the most famous yogis of the modern era, including B.K.S. Iyengar, Indira Devi, Pattabhi K. Jois, and T.K.V. Desikachar. Pattabhi Jois, founder of the Ashtanga Vinyasa style of yoga, also lived in Mysore and ran a school there until he passed away in 2009. Anyway, Dasara is huge in Mysore. They celebrate all 10 days with various events around town. However, the processional and the torchlight parade on the last day are the major draws, and we had seats for both of those events. For the processional we were right up front at the start of the parade route. For the torchlight parade our seats were not as great, but close to the front. We revisited the Zoo, which this year was rated the best in India by a TripAdvisor survey. There was flower show in progress for the festival. I did a couple of sessions of intern/assistant teaching of corporate yoga for a1000 yoga, and will do some more after the beginning of the New Year. Lilla and I went to a talk on philosophy which introduced me to an organization near our home that we were completely unaware of called the New Acropolis. It’s a school of practical philosophy. This led me to sign up for their introductory course, which takes place every Tuesday night. The class covers a wide range of topics in the domain of practical philosophy. (By practical philosophy, I mean philosophy geared toward substantively improving oneself, as opposed to sitting around staring at one’s navel and bemoaning our inability to know whether anything is real or whether we are all heads floating in vats.) As of this writing, I’ve attended three of the first four sessions (I was in Maharashtra for one of the classes) and have found it to be a fascinating experience. As you may know from my recent posts, this month I traveled to the Indian state of Maharashtra. Lilla and I were going to Mumbai to visit a relative, and I decided to take advantage of the relative proximity to visit the Buddhist caves at Ajanta and Ellora. The caves are among the most important archeological sites in India, but are out in the boondocks, and so they aren’t as well-known as, say, the Taj Mahal. However, in their own way I would rate them—as I do Hampi—as far more impressive than the Taj. 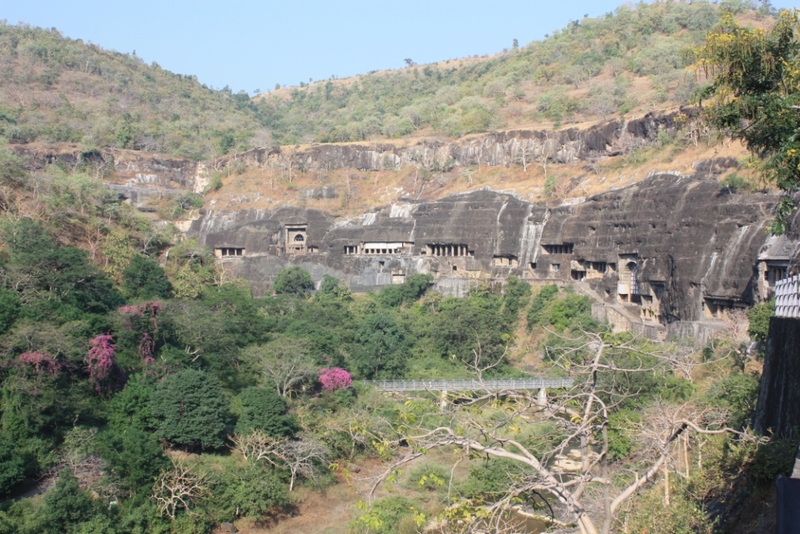 A city of about 1.2 million, called Aurangabad, was my base from which to visit the caves. Aurangabad has a few sights of its own, most notably a copy of the Taj Mahal that is from the same era. Aurangabad also has its own set of caves that are nowhere near as extensive as the ones at Ajanta and Ellora, but are worth a visit, and it has remnants of fortification from the days when it was Aurangzeb’s capital. Because the last graduation date occurred while I was in Thailand, I attended the graduation to get my RYT-200 certificate. We have one more trip for the year. Lilla and I will be traveling to Hungary in the middle of the month and will be there through New Year’s Day. 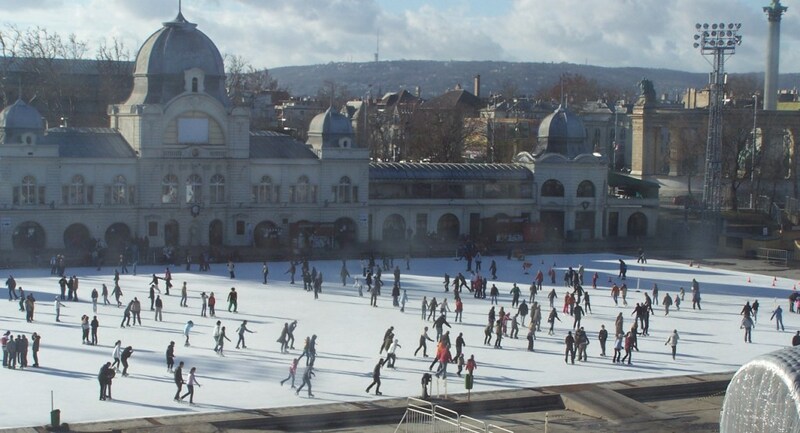 We last visited Budapest in the summer of 2011, and haven’t been there in the winter since 2008. We haven’t experienced seasons, in the conventional sense, for a year and half–so that’ll be interesting. (Bangalore has two seasons, rainy and dry, and even those can be muddled, as they were this year.) While I’ve been to Hungary many times, I hope to see some new sights this time, including a possible trip to Pécs, which will be my first Hungary trip south of Balaton. There are also some quirky Budapest locations listed on Atlas Obscura that I’d like to check out. I hope to do some new and interesting things in the upcoming year as well. Probably the oddest activity for the year will be attending the Vipassana Meditation Course. It’s 10 days on the outskirts of Bangalore with no books, notebooks, or electronic devices of any kind, and during which my only interaction with other people will be daily meetings with a teacher. It’s meditation all day every day for 10 days straight. From accounts I’ve read it’s an amazing or insanity-inducing experience. Writing: The past year hasn’t been as productive as I’d like on the novel front. As I mentioned, I’ve traveled quite a bit and had major time commitments on the Yoga Teacher Training front. A fragmented life disagrees with novel writing because novels are long and fictional, so if you get away from it for any length of time you have a lot of reacquainting to do when you come back to it. If you’ve ever put a book you’re reading down for a month and had trouble getting back into it, multiply that by 100 and you’ll know the challenge of doing the same for a book you’re writing—so many details for which continuity needs to be maintained. I tossed my first to chapters out entirely and rewrote them from scratch, having to update the rest to accommodate the new beginning. I’ve hemmed and hawed for days over certain plot points and devices. Having said all that, I’m converging on a product that I’ll be ready to submit sample chapters to agents from in 2015. Most of the points that have been giving me problems are worked out as well as I think they are likely to. I’ll do some revamping of my website, part of which I’ve already begun. Martial Arts: I expected that the jumping-intensive level of Kalaripayattu would be the end of that martial art for me. I’m not built for leaping. However, having cut some weight and built my fitness, I’ve found that my old body has taken the acrobatic craziness surprisingly well. So I’ll continue taking classes at the Kalari Academy as long as my body holds up. I plan to check out another martial art as well. There are a number of Muaythai places in Bangalore, and I may see if any of those work for me. I don’t have any plans to travel to Thailand in the upcoming year, but—if I do—I’ll make sure to squeeze in some Muaythai. (Actually, wherever I go I’ll try to squeeze in some of the indigenous arts.) Alternatively, there are Krav Maga classes offered at the New Acropolis, and that would be convenient to check out. Yoga: I’d originally planned to do the 300-hour course that would complete my RYT-500 certification, but it doesn’t look like it will work with my travel schedule. However, I do intend to continue my studies, and—in particular—may pursue specialty teacher training courses in Children’s Yoga and /or Prenatal Yoga. 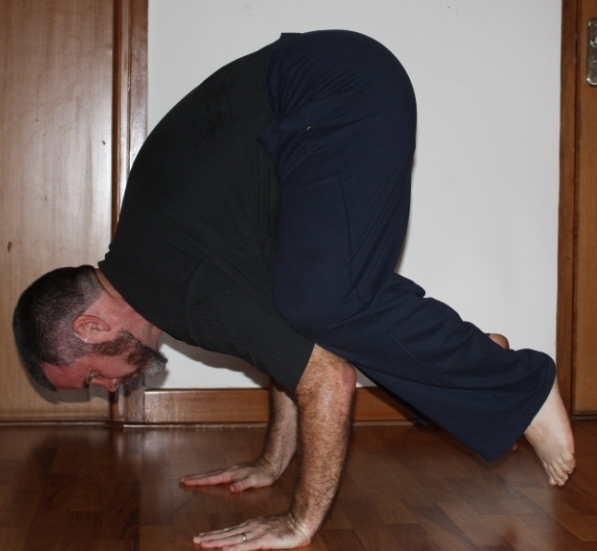 There are also some intriguing workshop opportunities in Ashtanga Vinyasa and Iyengar Yoga (props yoga.) I may even try out the yoga in Mysore. I’ll continue to teach my MWF courses as long as there is interest and will maintain my own personal practice. Also, I’ll try to do some interning / teaching of corporate yoga classes. Travel: We don’t have any specific trip planned past our December Hungary trip, but we’re sure to see some fascinating places in 2015. It looks like I may have to make a trip to the US during the summer time-frame. However, if I don’t have to take care of business with the house, I’ll probably stay in Asia and visit some other country—possibly Burma. Lilla and I are planning to make a trip to the Himalayas sometime during the summer. This may involve a trip to Amritsar (location of the Sikh Golden Temple) in conjunction with visiting McLeod Ganj / Dharamsala (home of the Dalai Lama and the Tibetan government in exile) and Shimla or Ladakh or other Indian portions of the Himalayas. Alternatively, we may go to Nepal. Among the Indian locations that remain on our list to see are Khajuraho, Varanasi, Pondicherry, Hyderibad, Chennai (with Kanakapura), Kolkata, and Darjeeling. That’s not to mention countries nearby that we’d like to visit while we’re here like Burma and Sri Lanka. It’s unlikely we’ll pack all that in to 2015, but hopefully we can make a dent in it. Well there’s my 4,500 word narcissism-fest, but it has pictures. Taken in March of 2014 in Madikeri. It may not look like much, but this is the Best Smelling Room… Ever! These machines are located at the Golden Mist Coffee Plantation near Madikeri. 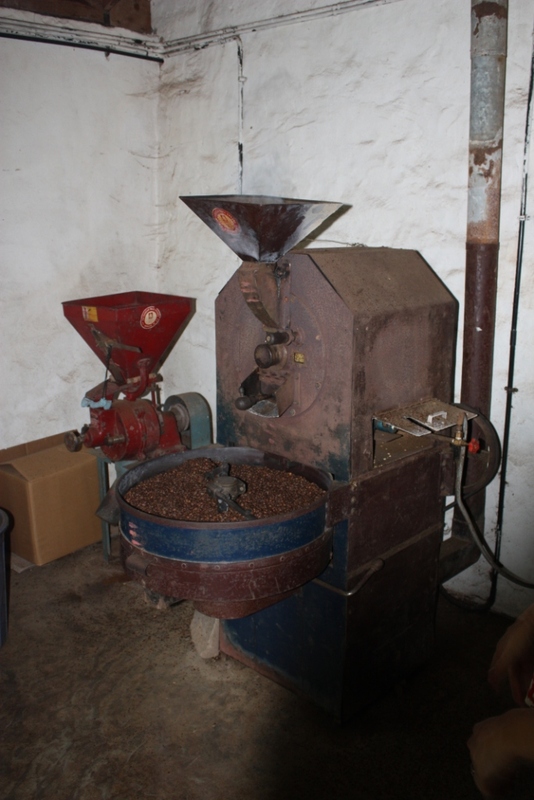 Here they roast and grind coffee. 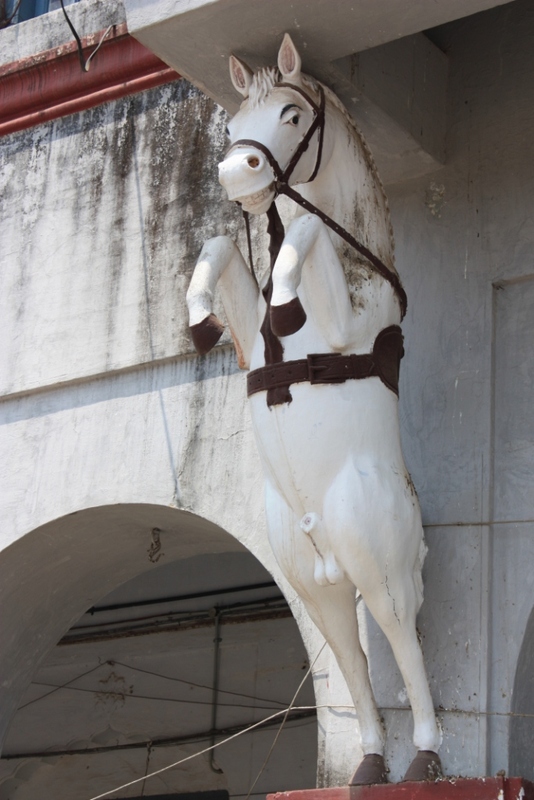 DAILY PHOTO: Creepy Flagpole Holder? Taken in March of 2014 in Coorg.